The BEP is planning to develop a new business park on 13　hectares in Bouge. 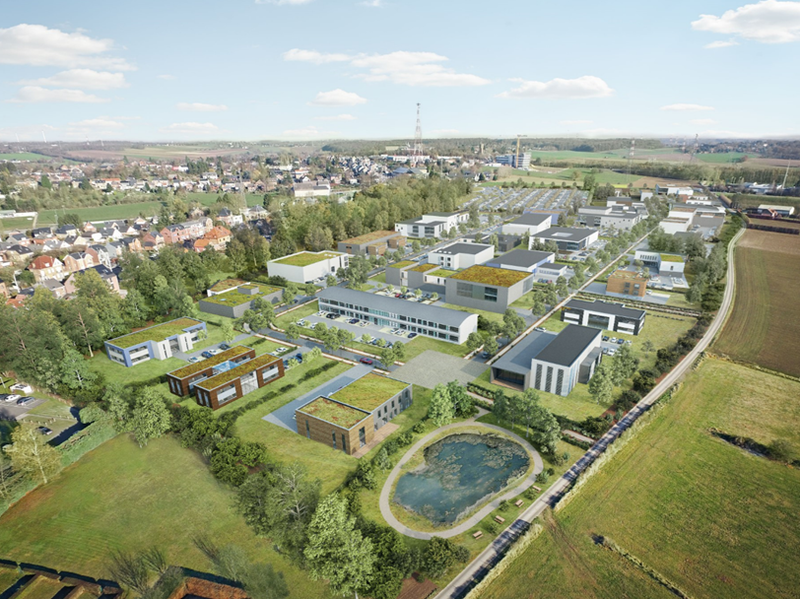 In line with its most recent initiatives (Ecolys®, for example, which targets green building), the bureau is continuing to opt for specialised business parks. For the Bouge venue, the theme of health has been chosen and, more specifically, health products and services linked to an ageing population. This choice is the culmination of thorough scrutiny of Namur’s positioning, the presence of key players in the sector, and the economic development prospects of this branch. The park will be called “Care-YS”. The Bouge project has been part of the Structural Master Plan of the City of Namur since April　2012. It concerns the creation of an urban “mixed economic activity park” encompassing 13　hectares along Chaussée de Louvain. It is an integrated extension of the existing urban settlement pattern. The first town planning and technical studies required to carry this project out have started. The town council approved the BEP’s preliminary municipal development plan in November. The ministerial decrees regarding the town-planning and economic recognition aspects are expected to come out at the end of 2018. Ground-breaking on the infrastructural works will then be able to start in 2019 and the first businesses will be able to move in the year after. Today’s new parks are specialised, due in particular to their smaller size. “General” business parks are gradually giving way to “sectoral” parks. The region’s recent parks are also the vectors of an overall spatial planning vision. So, the BEP pondered the future theme of the Bouge park, in partnership with the City of Namur, from this dual standpoint. A study was launched to examine the prospects of positioning Bouge as a health field business park. The idea was backed up by the presence of major health-sector players (hospitals, mutual societies, universities and research centres, and leading-edge companies) in the area and the City of Namur’s clearly expressed desire to position itself, in its capacity as a “smart city”, as a model of new urban lifestyles. The results of this study, as well as the contact made with a host of regional and local entities (the city and welfare offices of Namur, Province of Namur, Créagora, University of Namur, Smart Gastronomy Lab in Gembloux, Namur-area hospitals, private companies, medical and social associations, and so on) enabled the BEP to refine the park’s strategic position to focus on services linked to ageing. The ageing of the population is a strategic economic sector, for it concerns the transformation of society (the over-65s will account for more than 20% of the population in 2030) directly, but also changes in the goods and services that will result from this transformation. The stakes riding on the trend are thus both societal and economic if an ageing population is to be able to live with dignity in a market economy able to meet its needs. What is more, health is the fifth leading sector in the Province of Namur in terms of the number of businesses and employees. These facts also bolster the choice of this theme in connection with the existing economic fabric. The Care-YS project was recently presented to the potential partners of the park’s development, i.e., mutual insurance societies, hospitals, and associations providing people with care and assistance, but also academic institutions such as UNamur (and its researchers focusing on innovation), Gembloux Agro Bio Tech (especially its researchers in the field of nutrition), and UCL, which is developing a project for a “life-sized” test of the services, tools, and procedures required for an ageing population at Louvain-la-Neuve. The enterprises working in the health sector in the province also had the chance to discover the Care-YS project and about a dozen of them voiced interest in getting on board. Whilst the first steps have been taken in setting up the project, it now has to be put into operation. To this end, a consultant will be tasked for the coming year with running several working groups aimed at determining the new services to offer businesses, identifying relevant research under way at universities, determining the new activities to develop in conjunction with the hospital sector, and choosing the right start-up incubator model. In a word, the aim is to come up with a provincial policy targeting the “Silver Economy” before even selling the park to future occupants. Several examples from abroad are sources of inspiration for such a policy, e.g., Silver Normandie at Colombelles and Silver Valley at Ivry-sur-Seine (France), the initiatives taken by Vaud Canton in Switzerland, and the Mutua Terrassa project in Spain.